On Monday, Google announced that it would be shutting down Google+ four months early in April 2019 after another bug was discovered. The company said 52.5 million users were affected by this issue, which exposed information including names, email addresses, occupations, and ages, between November 7 and November 13. Between 2015 and 2018, Google+ had a similar bug, which Google announced in October. It prompted the company to plan to shut down the social network in August 2019. 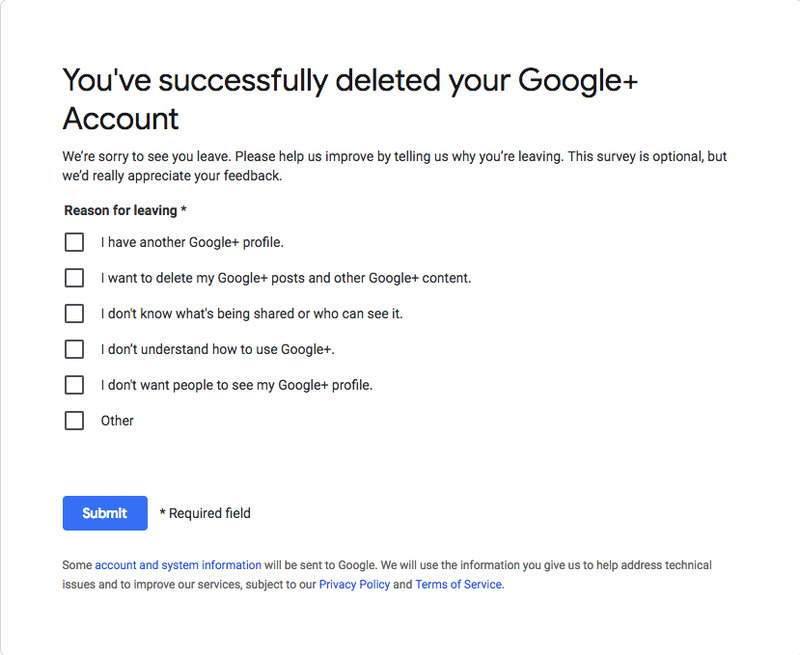 Here’s how to quickly check if you have a Google+ account, and how to delete it early. After The Wall Street Journal reported in October that Google accidentally exposed the private information of hundreds of thousands of Google+ users over three years, you might not feel so comfortable having a Google+ account anymore, even though Google plans to shut down the social network. On Monday, Google announced that it would be shutting down Google+ four months early after another bug involving user data was discovered in November. The company said 52.5 million users were affected by this issue, which exposed information including names, email addresses, occupations, and ages, between November 7 and November 13. Google said it has fixed the bug and will begin contacting those whose information has been compromised. Previously, Google said it was shutting down the social network in August 2019. Now, that sunset date has moved up four months to April. Created in 2011, Google+ never seemed to gain much traction in the social-media sphere, and Google eventually turned it into the underlying account infrastructure connecting its various Google software products, so you might not even realise you’re a member. But it’s likely that you are – if you have a Google account, you’ve probably been given a Google+ account by default. First, make sure you’re signed into Google, then go to Gmail.com or the Google homepage. Next, click on your profile picture in the top-right corner. 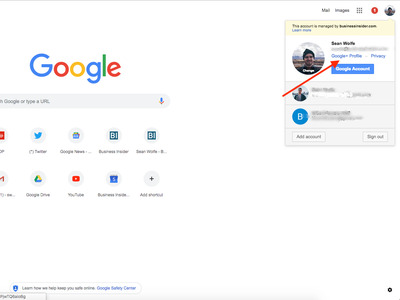 Next, check to see whether there’s a link that says “Google+ Profile” beneath your name and email address in that window. If the link shows up, you have a Google+ account. Click it to go to your profile. Once you’re at your Google+ profile, click “settings” on the left side of the page. 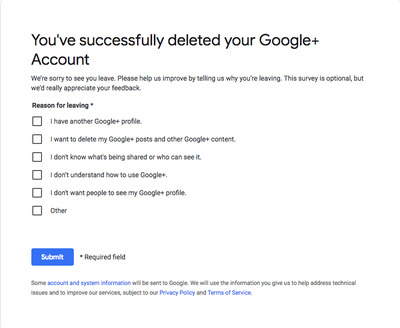 Scroll to the bottom of the page and click “Delete your Google+ Profile.” On the next screen, you’ll be prompted to confirm that you want to delete your account. Once you confirm, you’ll be greeted with this survey page. That means you’re all set and your account has been deleted.